Abstract：Since the first detection of the low-velocity layer atop the 410-km discontinuity in 1990s, the seismic structure has been revealed in many subduction zones and continental craton regions. Its characteristics and mechanism of formation are among one of the hottest topics in studies of deep mantle structure, physical properties of mantle material, and geodynamic processes. We focus on the detection and feature investigation of the low-velocity layer atop the 410-km discontinuity in the northwestern Pacific subduction zone in this study. By modeling P triplicate waveforms from two intermediate-depth earthquakes, which are recorded by regional network stations, we obtain the P wave velocity structure near the 410-km discontinuity beneath northeast China and northwest area of Japan Sea. A low-velocity layer with thickness~47 ±14 km and~2% velocity anomaly is detected above the Mantle Transition Zone, covering a lateral range around 700 km. Combined with results from regional seismic tomography, high pressure and high temperature experiments and geodynamic simulations, we regard the "bottom-to-up" upwelling model an unlikely mechanism for the observed low-velocity layer; instead, we propose that the low-velocity layer may represent the partially melted silicates caused by dehydration of the cold and fast subducting Pacific slab near the 410-km discontinuity. The higher density makes it stable at the 410 km depth and produces the observed widely distributed low-velocity layer. velocities and electrical conductivity of crustal rocks. Chinese Journal of Rock Mechanics and Engineering (in Chinese), 19(S1):899-904, doi:10.3321/j.issn:1000-6915.2000.z1.017. Bercovici D, Karato S I. 2003. Whole-mantle convection and the transition-zone water filter. Nature, 425(6953):39-44, doi:10.1038/nature01918. Bolfan-Casanova N, Keppler H, Rubie D C. 2000. Water partitioning between nominally anhydrous minerals in the MgO-SiO2-H2O system up to 24 GPa:Implications for the distribution of water in the Earth's mantle. Earth and Planetary Science Letters, 182(3-4):209-221, doi:10.1016/S0012-821X(00)00244-2. Brudzinski M R, Chen W P. 2000. Variations in P wave speeds and outboard earthquakes:Evidence for a petrologic anomaly in the mantle transition zone. Journal of Geophysical Research:Solid Earth, 105(B9):21661-21682, doi:10.1029/2000jb900160. Buland R, Chapman C H. 1983. The computation of seismic travel times. Bulletin of the Seismological Society of America, 73(5):1271-1302. Cammarano F, Goes S, Vacher P, et al. 2003. Inferring upper-mantle temperatures from seismic velocities. Physics of the Earth and Planetary Interiors, 138(3-4):197-222, doi:10.1016/S0031-9201(03)00156-0. Courtier A M, Revenaugh J. 2007. Deep upper-mantle melting beneath the Tasman and Coral Seas detected with multiple ScS reverberations. Earth and Planetary Science Letters, 259(1-2):66-76, doi:10.1016/j.epsl.2007.04.027. Dalton J A, Presnall D C. 1998. Carbonatitic melts along the solidus of model lherzolite in the system CaO-MgO-Al2O3-SiO2-CO2 from 3 to 7 GPa. Contributions to Mineralogy and Petrology, 131(2-3):123-135, doi:10.1007/s004100050383. Dasgupta R. 2013. Ingassing, storage, and outgassing of terrestrial carbon through geologic time. Reviews in Mineralogy and Geochemistry, 75(1):183-229, doi:10.2138/rmg.2013.75.7. Dobson D P, Jones A P, Rabe R, et al. 1996. In-situ measurement of viscosity and density of carbonate melts at high pressure. Earth and Planetary Science Letters, 143(1-4):207-215, doi:10.1016/0012-821X(96)00139-2. Dziewonski A M, Anderson D L. 1981. Preliminary reference Earth model. Physics of the Earth and Planetary Interiors, 25(4):297-356, doi:10.1016/0031-9201(81)90046-7. Flanagan M P, Shearer P M. 1998. Global mapping of topography on transition zone velocity discontinuities by stacking SS precursors. Journal of Geophysical Research:Solid Earth, 103(B2):2673-2692, doi:10.1029/97jb03212. Fuchs K, Müller G. 1971. Computation of synthetic seismograms with the reflectivity method and comparison with observations. Geophysical Journal International, 23(4):417-433, doi:10.1111/j.1365-246X.1971.tb01834.x. Fukao Y, Obayashi M. 2013. Subducted slabs stagnant above, penetrating through, and trapped below the 660 km discontinuity. Journal of Geophysical Research:Solid Earth, 118 (11):5920-5938, doi:10.1002/2013jb010466. Gaillard F, Malki M, Iacono-Marziano G, et al. 2008. Carbonatite melts and electrical conductivity in the asthenosphere. Science, 322(5906):1363-1365, doi:10.1126/science.1164446. Hidenori T, Rebecca A F. 2016. Deep Earth:Physics and Chemistry of the Lower Mantle and Core. Washington:AGU Monograph, 265-275. Hirose K, Kawamoto T. 1995. Hydrous partial melting of lherzolite at 1 GPa:The effect of H2O on the genesis of basaltic magmas. Earth and Planetary Science Letters, 133(3-4):463-473, doi:10.1016/0012-821X(95)00096-U. Hirschmann M M, Aubaud C, Withers A C. 2005. Storage capacity of H2O in nominally anhydrous minerals in the upper mantle. Earth and Planetary Science Letters, 236(1-2):167-181, doi:10.1016/j.epsl.2005.04.022. Huang J L, Zhao D P. 2006. High-resolution mantle tomography of China and surrounding regions. Journal of Geophysical Research:Soild Earth, 111(B9):B09305, doi:10.1029/2005jb004066. Huang X G, Xu Y S, Karato S. 2005. Water content in the transition zone from electrical conductivity of wadsleyite and ringwoodite. Nature, 434(7034):746-748, doi:10.1038/nature03426. Jasbinsek J, Dueker K. 2007. Ubiquitous low-velocity layer atop the 410-km discontinuity in the northern Rocky Mountains. Geochemistry, Geophysics,Geosystems,8(10):Q10004,doi:10.1029/2007gc001661. Kawamoto T, Hervig R L, Holloway J R. 1996. Experimental evidence for a hydrous transition zone in the early Earth's mantle. Earth and Planetary Science Letters, 142(3-4):587-592, doi:10.1016/0012-821X(96)00113-6. Kohlstedt D L, Keppler H, Rubie D C. 1996. Solubility of water in the α,β and γ phases of (Mg, Fe)2SiO4. Contributions to Mineralogy and Petrology, 123(4):345-357. Li C, Van Der Hilst R D. 2010. Structure of the upper mantle and transition zone beneath Southeast Asia from traveltime tomography. Journal of Geophysical Research:Solid Earth, 115(B7):B07308, doi:10.1029/2009JB006882. Li G H, Sui Y, Zhou Y Z. 2014. Low-velocity layer atop the mantle transition zone in the Yangtze Craton from P waveform triplication. Chinese Journal of Geophysics (in Chinese), 57(7):2362-2371, doi:10.6038/cjg20140730. Li J, Chen Q F, Vanacore E, et al. 2008. Topography of the 660-km discontinuity beneath northeast China:Implications for a retrograde motion of the subducting Pacific slab. Geophysical Research Letters, 35(1):L01302, doi:10.1029/2007GL031658. Li J, Wang X, Wang X J, et al. 2013. P and SH velocity structure in the upper mantle beneath Northeast China:Evidence for a stagnant slab in hydrous mantle transition zone. Earth and Planetary Science Letters, 367:71-81, doi:10.1016/j.epsl.2013.02.026. Li J, Tosi N, Maierová P, et al. 2016. Evidence from caustics waveform modelling for long slab thickening above the 660-km discontinuity under northeast Asia:Dynamical implicaitons.//Morra G. Subduction Dynamics:From Mantle Flow to Mega Disasters. USA:AGU, 211:5-18, doi:10.1002/9781118888865.ch1. Li S L, Guo Z, Chen Y J. 2017. Complicated 3D mantle flow beneath Northeast China from shear wave splitting and its implication for the Cenozoic intraplate volcanism. Tectonophysics, 709:1-8, doi:10.1016/j.tecto.2017.04.015. Li X Q, Yuan X H. 2003. Receiver functions in northeast China-implications for slab penetration into the lower mantle in northwest Pacific subduction zone. Earth and Planetary Science Letters, 216(4):679-691, doi:10.1016/s0012-821x(03)00555-7. Miller M S, Kennett B L N. 2006. Evolution of mantle structure beneath the northwest Pacific:Evidence from seismic tomography and paleogeographic reconstructions. Tectonics, 25(4):TC4002, doi:10.1029/2005TC001909. Niu F L, Li J. 2011. Component azimuths of the CEArray stations estimated from P-wave particle motion. Earthquake Science, 24(1):3-13, doi:10.1007/s11589-011-0764-8. Oreshin S I, Vinnik L P, Kiselev S G, et al. 2011. Deep seismic structure of the Indian shield, western Himalaya, Ladakh and Tibet. Earth and Planetary Science Letters, 307(3-4):415-429, doi:10.1016/j.epsl.2011.05.016. Revenaugh J, Sipkin S. 1994. Seismic evidence for silicate melt atop the 410-km mantle discontinuity. Nature, 369(6480):474-476, doi:10.1038/369474a0. Sakamaki T, Suzuki A, Ohtani E. 2006. Stability of hydrous melt at the base of the Earth's upper mantle. Nature, 439(7073):192-194, doi:10.1038/nature04352. Seton M, Müller R D, Zahirovic S, et al. 2012. Global continental and ocean basin reconstructions since 200 Ma. Earth-Science Reviews, 113(3-4):212-270, doi:10.1016/j.earscirev.2012.03.002. Song T R A, Helmberger D V, Grand S P. 2004. Low-velocity zone atop the 410 km seismic discontinuity in the northwestern United States. Nature, 427(6974):530-533, doi:10.1038/nature02231. Sui Y, Zhou Y Z. 2015. Low velocity anomaly around 410 km beneath the Yellow and East China Seas with P wave triplications. Acta Seismologica Sinica (in Chinese), 37(1):1-14, doi:10.11939/jas.2015.01.001. Tajima F, Nakagawa T. 2006. Implications of seismic waveforms:Complex physical properties associated with stagnant slab. Geophysical Research Letters, 33(3):L03311, doi:10.1029/2005gl024314. Tang Y C, Obayashi M, Niu F L, et al. 2014. Changbaishan volcanism in northeast China linked to subduction-induced mantle upwelling. Nature Geoscience, 7(6):470-475, doi:10.1038/ngeo2166. Tian Y, Liu C, Feng X. 2011. P-wave velocity structure of crust and upper mantle in Northeast China and its control on the formation of mineral and energy. Chinese Journal of Geophysics (in Chinese), 54(2):407-414, doi:10.3969/j.issn.0001-5733.2011.02.017. Van Keken P E, Hacker B R, Syracuse E M, et al. 2011. Subduction factory:4. Depth-dependent flux of H2O from subducting slabs worldwide. Journal of Geophysical Research:Soild Earth, 116(B1):B01401, doi:10.1029/2010JB007922. Vinnik L, Farra V. 2002. Subcratonic low-velocity layer and flood basalts. Geophysical Research Letters, 29(4):8-1-8-4, doi:10.1029/2001gl014064. Vinnik L, Ravi K M, Kind R, et al. 2003. Super-deep low-velocity layer beneath the Arabian plate. Geophysical Research Letters, 30(7):1415, doi:10.1029/2002gl016590. Vinnik L, Farra V. 2007. Low S velocity atop the 410-km discontinuity and mantle plumes. Earth and Planetary Science Letters, 262(3-4):398-412, doi:10.1016/j.epsl.2007.07.051. Vinnik L, Yong R, Stutzmann E, et al. 2010. Observations of S410p and S350p phases at seismograph stations in California. Journal of Geophysical Research:Solid Earth, 115(B5):B05303, doi:10.1029/2009JB006582. Vinnik L P, Green R W E, Nicolaysen L O, et al. 1996. Deep seismic structure of the Kaapvaal craton. Tectonophysics, 262(1-4):67-75, doi:10.1016/0040-1951(96)00012-1. Wang B S, Niu F L. 2010. A broad 660 km discontinuity beneath northeast China revealed by dense regional seismic networks in China. Journal of Geophysical Research:Soild Earch, 115(B6):B06308, doi:10.1029/2009jb006608. Wang K, Yao Z X. 1989. Preliminary study of upper mantle shear velocity structure of China. 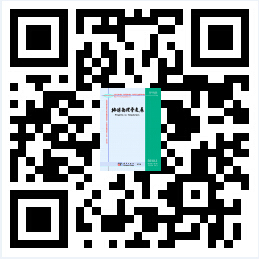 Chinese Journal of Geophysics (Acta Geophysica Sinica) (in Chinese), 32(1):36-45. Wang K, Yao Z X. 1991. Upper mantle P velocity structure of Southern China. 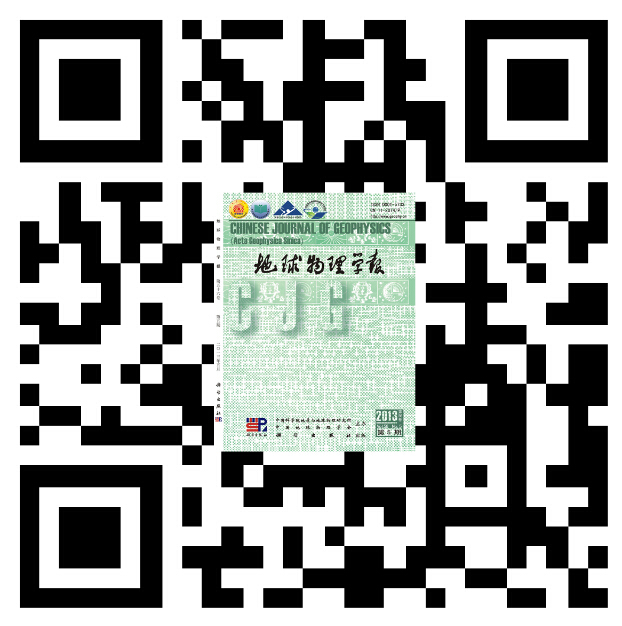 Chinese Journal of Geophysics (Acta Geophysica Sinica) (in Chinese), 34(3):309-317. Wang R J. 1999. A simple orthonormalization method for stable and efficient computation of Green's functions. Bulletin of the Seismological Society of America, 89(3):733-741. Wang T, Revenaugh J, Song X D. 2014. Two-dimensional/three-dimensional waveform modeling of subducting slab and transition zone beneath Northeast Asia. Journal of Geophysical Research:Solid Earth, 119(6):4766-4786, doi:10.1002/2014JB011058. Wang X, Li J, Chen Q F. 2017. Topography of the 410 km and 660 km discontinuities beneath the Japan Sea and adjacent regions by analysis of multiple-ScS waves. Journal of Geophysical Research:Solid Earth, 122(2):1264-1283, doi:10.1002/2016JB013357. Ye L L, Li J. 2012. Detecting velocity structure around 660-km discontinuity beneath Northeastern China. Acta Seismologica Sinica (in Chinese), 34(2):137-146, doi:10.3969/j.issn.0253-3782.2012.02.002. Zang S X, Ning J Y. 1996. Study on the subduction zone in Weatern Pacific and its implication for the geodynamics. Chinese Journal of Geophysics (Acta Geophysica Sinica) (in Chinese), 39(2):188-203. Zhang R Q, Wu Q J, Li Y H, et al. 2012. Lateral variations in SH velocity structure of the transition zone beneath Korea and adjacent regions. Journal of Geophysical Research:Solid Earth, 117(B9):B09315, doi:10.1029/2011JB008900. Zhang R Q, Gao Z Y, Wu Q J, et al. 2016. Seismic images of the mantle transition zone beneath Northeast China and the Sino-Korean craton from P-wave receiver functions. Tectonophysics, 675:159-167, doi:10.1016/j.tecto.2016.03.002. Zhao D P, Tian Y, Lei J S, et al. 2009. Seismic image and origin of the Changbai intraplate volcano in East Asia:Role of big mantle wedge above the stagnant Pacific slab. Physics of the Earth and Planetary Interiors, 173(3-4):197-206, doi:10.1016/j.pepi.2008.11.009. Zheng X F, Ou Y B, Zhang D N, et al. 2009. Technical system construction of Data Backup Centre for China Seismograph Network and the data support to researches on the Wenchuan earthquake. Chinese Journal of Geophysics (in Chinese), 52(5):1412-1417, doi:10.3969/j.issn.0001-5733.2009.05.031. Zhou Y Z, Zang S X. 2001. Mantle discontinuities beneath the stations MDJ and HIA and its implications. Chinese Journal of Geophysics (in Chinese), 44(6):761-773. 白武明, 马麦宁, 柳江琳. 2000. 地壳岩石波速和电导率实验研究. 岩石力学与工程学报, 19(S1):899-904, doi:10.3321/j.issn:1000-6915.2000.z1.017. 李国辉, 眭怡, 周元泽. 2014. 基于P波三重震相的下扬子克拉通地幔转换带顶部低速层初探. 地球物理学报, 57(7):2362-2371, doi:10.6038/cjg20140730. 眭怡, 周元泽. 2015. 利用三重震相探测中国东部海域410km深度低速层. 地震学报, 37(1):1-14, doi:10.11939/jass.2015.01.001. 田有, 刘财, 冯晅. 2011. 中国东北地区地壳、上地幔速度结构及其对矿产能源形成的控制作用. 地球物理学报, 54(2):407-414, doi:10.3969/j.issn.0001-5733.2011.02.017. 王凯, 姚振兴. 1989. 中国上地幔剪切波速度结构的初步研究. 地球物理学报, 32(1):36-45. 王凯, 姚振兴. 1991. 华南上地幔P波速度结构. 地球物理学报, 34(3):309-317. 叶玲玲, 李娟. 2012. 东北地区660 km间断面附近波速结构研究. 地震学报, 34(2):137-146, doi:10.3969/j.issn.0253-3782.2012.02.002. 臧绍先, 宁杰远. 1996. 西太平洋俯冲带的研究及其动力学意义. 地球物理学报, 39(2):188-203. 郑秀芬, 欧阳飚, 张东宁等. 2009. 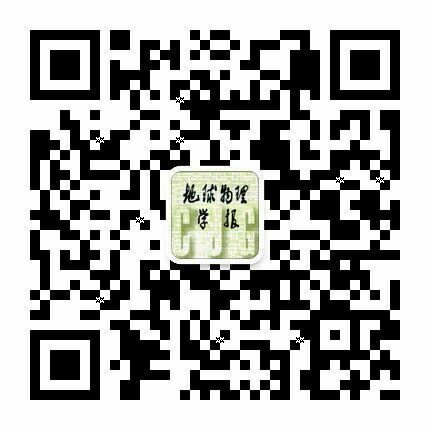 "国家数字测震台网数据备份中心"技术系统建设及其对汶川大地震研究的数据支撑. 地球物理学报, 52(5):1412-1417, doi:10.3969/j.issn.0001-5733.2009.05.031. 周元泽, 臧绍先. 2001. 牡丹江和海拉尔台下方地幔间断面结构及推论. 地球物理学报, 44(6):761-773. 李文兰, 魏荣强, 崔清辉, 高雅健, 周元泽. 基于波形拟合的中国东海地区410 km间断面附近速度结构研究[J]. 地球物理学报, 2018, 61(1): 150-160. 吴蔚, 刘启元, 贺日政, 曲中党. 羌塘盆地中部地区地壳S波速度结构及构造意义[J]. 地球物理学报, 2017, 60(3): 941-952. 吕苗苗, 丁志峰, 朱露培. 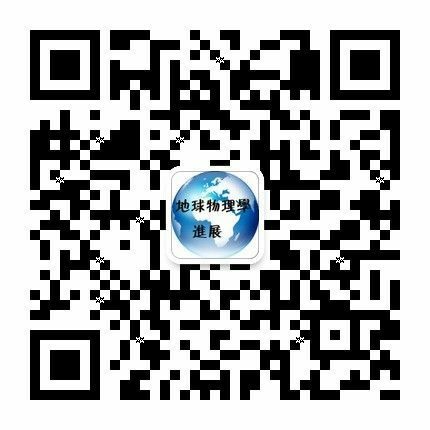 基于P波三重震相的华南地区上地幔速度结构研究[J]. 地球物理学报, 2017, 60(10): 3765-3779. 高雅健, 崔辉辉, 周元泽. 中天山和塔里木盆地下方地幔转换带顶部P波速度结构探测[J]. 地球物理学报, 2017, 60(1): 98-111. 崔辉辉, 周元泽, 石耀霖, 王晓冉, 李国辉. 华北克拉通东部滞留板块下方低速异常的地震三重震相探测[J]. 地球物理学报, 2016, 59(4): 1309-1320. 刘明辉, 彭朝勇, 周银兴, 陈阳, 李江, 王洪体. 芦山震中区上地壳剖面二维波速结构模型反演[J]. 地球物理学进展, 2016, 31(1): 69-78. 王帅军, 王夫运, 张建狮, 刘宝峰, 张成科, 赵金仁, 段玉玲, 宋向辉, 邓晓果, 马策军, 孙一男, 臧怡然, 李怡青. 利用宽角反射/折射地震剖面揭示芦山MS7.0地震震区深部孕震环境[J]. 地球物理学报, 2015, 58(9): 3193-3204. 周晓亚, 马麦宁, 徐志双, 韩林, 魏东平. 华南东部地幔过渡带顶部低速层中的熔体含量估算[J]. 地球物理学报, 2015, 58(9): 3264-3271. 潘佳铁, 李永华, 吴庆举, 丁志峰. 青藏高原东南部地区瑞雷波相速度层析成像[J]. 地球物理学报, 2015, 58(11): 3993-4006. 李国辉, 眭怡, 周元泽. 基于P波三重震相的下扬子克拉通地幔转换带顶部低速层初探[J]. 地球物理学报, 2014, 57(7): 2362-2371. 周晓亚, 马麦宁, 徐志双. 地幔过渡带顶面低速层的研究进展[J]. 地球物理学进展, 2014, 29(4): 1615-1625. 黄建平, 李振春, 林建民, 曹晓莉, 李娜, 田坤. 南印度洋地区双T波现象及形成机制解释[J]. 地球物理学进展, 2014, 29(2): 913-919. 姚琪, 徐锡伟, 邢会林, 张微, 高翔. 青藏高原东缘变形机制的讨论: 来自数值模拟结果的限定[J]. 地球物理学报, 2012, 55(3): 863-874.